When you’ve got the fastest car in the world, it’s not exactly easy to improve it. The Bugatti Veyron 16.4 already has 16 cylinders, 1,184 horsepower, and a record-holding top speed of 267 mph (production cars are limited to 258 mph), so what else is there to do? Apparently, more: according to Automobile, Bugatti is cooking up a new version called “SuperVeyron” for next fall’s Frankfurt Motor Show. Think of it is a super-Super Sports. Although no supercars currently in production or on the drawing board (with the possible exception of the SSC Tuatara) can touch the Veyron Super Sport’s speed record, the SuperVeyron will up the ante even further. Top speed could go from 258 mph to a mind-boggling 288 mph. 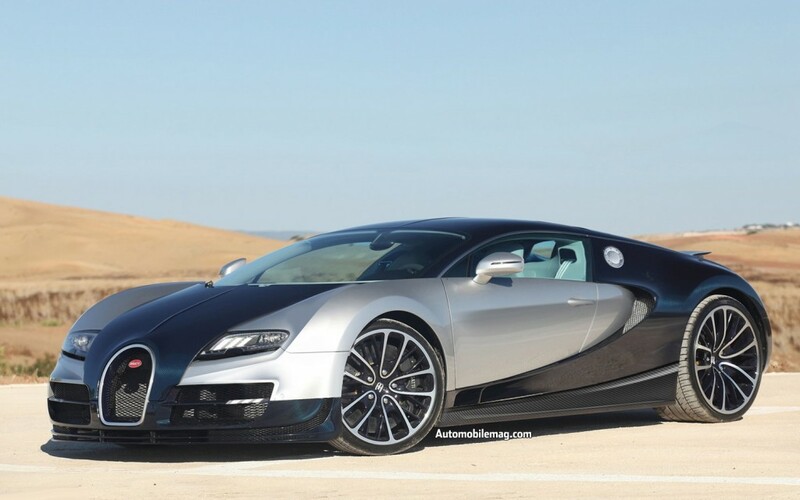 The SuperVeyron will also do 0 to 60 mph in 1.8 seconds, making it by far the quickest car ever produced. To accomplish this incredible feat of engineering, Bugatti will apply the same technique it used to turn the Veyron 16.4 into the Super Sport: add power and lightness. The SuperVeyron will reportedly produce 1600 hp; it’s W16 engine may get a bump in displacement from 8.0 to 9.6 liters to get that extra power. The SuperVeyron is also expected to lose 550 pounds, bringing the curb weight down to 3,527 pounds. That’s pretty impressive for an all-wheel drive car with creature comforts that rival a Bentley’s. Bugatti will use more carbon fiber to hit that target weight, but don’t be surprised if the engineers have to strip away some of those luxuries to make the diet a success. The final piece of the puzzle will be aerodynamics. Like the Super Sport, the SuperVeyron will have the same chassis as the “regular” Veyron, but with some aggressive changes. In the concept renderings, the Super Sport’s roof-mounted NACA ducts remain, but now the engine is almost completely covered. The W16 needs fresh air to keep it cool, which is why it sits exposed to the elements in all Veyrons. The ducting should provide enough cooling air, while preventing the area around the engine from trapping that air and causing turbulence at high speeds. The whole back end is also more streamlined, with redesigned taillights and vents that make it look less wide. That gives air a smoother path around the car as it flows past the body at 200+ mph. At the front, Bugatti’s trademark horse collar grille remains the same, although the front air intakes appear to have been enlarged. There are also new, gill-like intakes behind the front wheel. It is unclear what purpose they serve, but they look cool. Like previous Veyrons, the SuperVeyron features a rear spoiler that deploys at speed, and can also serve as an air brake, delivering the stopping power of a normal car’s brakes. 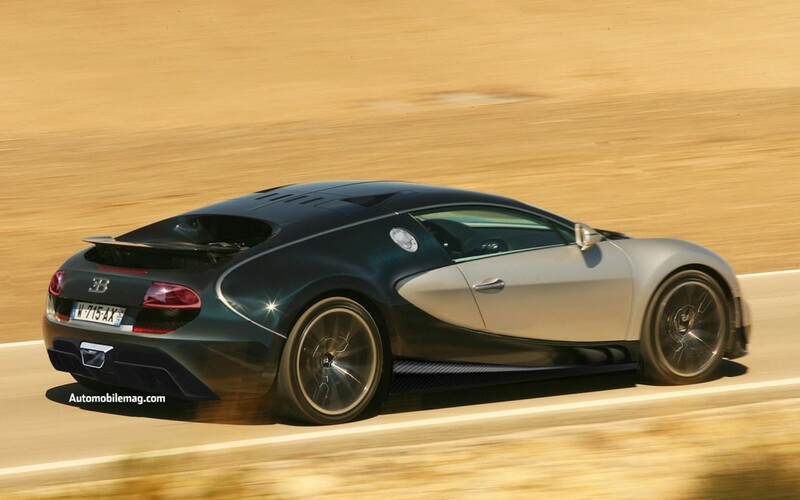 Despite being based on the same car the brand has sold since 2005, the SuperVeyron is an abrupt change for Bugatti. With its world speed record safe, the Veyron was supposed to have been retired in favor of a luxury sedan, the 16C Galibier, which executives hope will expand the brand’s appeal. A supercar probably isn’t the way to go if you want to increase sales, but it’s hard to argue with another Veyron, especially if it performs the way predictions say it will. Long live the king.